G Element is proud to announce that its Conveno 3D way-finding software-as-a-service is used in the development and launch of NYP Polytechnic Library's 3D Library Map service. The 3D Library Map service provides book search services to help students and staff find the location of books via the 3D model of the library. 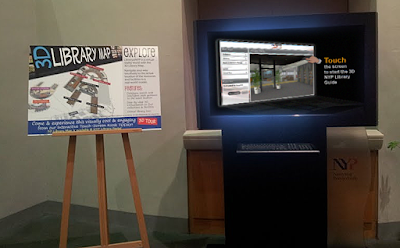 The 3D model of the NYP Library is developed by student teams from the School of IT. 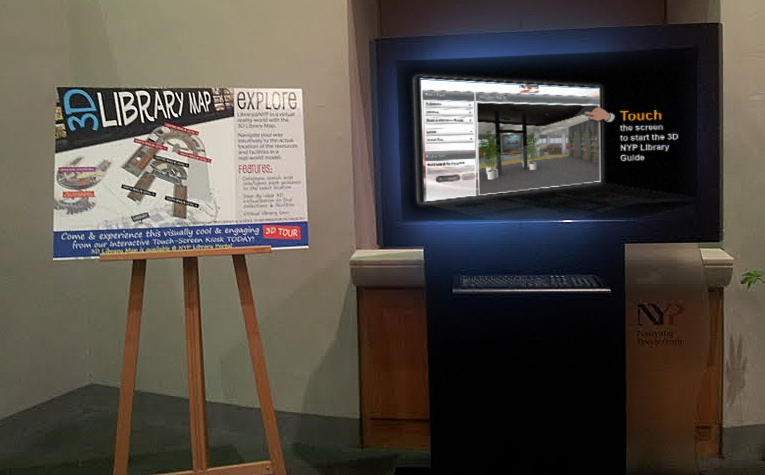 In addition to integrating book search with interactive 3D library maps, the 3D Library Map service also enables students and staff to tour the library as well as to locate library resources and facilities.